A lot goes into consumers making purchasing decisions. Whether you are picking up a bottle of soda or hopping in the shower with your favorite bottle of shampoo, it is likely that you are looking for the brand that you know and trust. What made you choose that brand? Why do you like it and trust it when you need to make that particular type of purchase? If you are like many people, you have fairly intense brand loyalty for specific things, and much of that loyalty comes from reputation and a sense of reliability. You may have even chosen a product based solely on how strong of an impact the branding had on you. So what does branding have to do with your property inspections? If you are trying to earn new business or retain existing clients, branding is extremely important to your success. 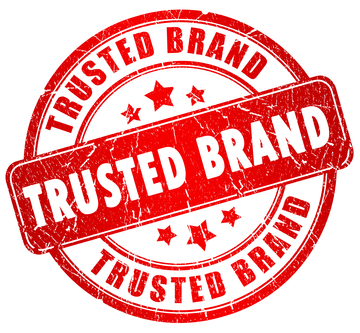 Creating your brand gives your clients a sense of trust and reliance in you as a professional. With a strong brand you, don’t just look like a person who is going through a property inspection and piecing together a report. You look like a pulled-together professional who knows what you are doing and will benefit them. There are many ways you can build a brand. Some of them take months or even years of dedication to gradually build up the attention and audience. Others take only one interaction to give you the appearance of legitimacy that develops into a strong, successful brand. One of these ways is through the use of a mobile property inspection app. Use of property inspection software lets you quickly impress your clients and build your presence. – Our property inspection app lets you quickly and easily import all of the information from each of your inspections and populate one of our report templates. This creates a polished, professional look every time. – Each report is finished with your custom logo, seamlessly imported onto the report for an attractive, professional look. – Video inspection capability allows you to make high-quality videos of your inspections to enhance the information you share with your clients. These videos are also a phenomenal way to make your client look good in front of property owners, which further enhances how good you look. – Using our features can save you up to 75% of your time. This means you have much more time to interact with your clients, find new clients, and perform more work. Essentially, more time means more clients, which means more opportunity for your reputation to grow. – Our features improve your efficiency and ensure that your inspections are thorough, accurate, and effective. The faster and more effectively you can complete your inspections, the better you will look to your clients, which in turn boosts the reliability and reputation of your brand. Building your brand is one of the most important things you can do to enhance your business. You want your clients to think of your brand whenever they have property inspection needs and to recommend you to others. Strong brand presence makes this easier.